Home Incorporation What is the difference between a Subsidiary company and a Branch office in Japan? International companies can expand operations in Japan by establishing a subsidiary corporation or a branch office. Branches are easier and less costly to open but lack the inherent advantages of subsidiaries, which are usually established as a Kabushiki Kaisha (KK) which is a joint stock company, or a Godo Kaisha (GK), which is a limited liability type company. Subsidiaries are perceived as being more entrenched to the Japanese business market due to their status as a Japan entity. The branch office in Japan is legally structured as an extension of the parent company’s foreign head office, which means that the parent company must assume all liabilities generated by the Japanese branch. In contrast, a subsidiary company is structured as a separate legal entity, with flexible connections to the parent company. Subsidiaries have more legal authority to act autonomously and can assume liabilities and responsibilities independent from the parent company. There are advantages and disadvantages to consider when choosing how you want to incorporate your company. Launching a branch office is less expensive, with simpler procedures and requirements. Registering a branch office is often much faster than registering a subsidiary, which can be advantageous if you want to commence operations as soon as possible. It can also do all the essential things a subsidiary can do, which includes: renting an office, entering business and legal contracts, hiring employees, and sending profits back to the home country. However, the drawbacks of incorporating as a branch office may outweigh any initial benefits. 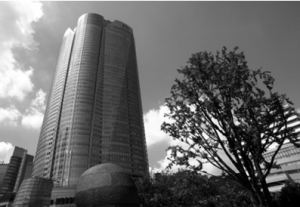 A branch office cannot raise additional capital by selling shares or issuing stock options, nor can it shield the parent company from liabilities and disputes generated in Japan. It also does not possess the local presence and credibility of a KK subsidiary, which can hinder its ability to survive and grow in the Japanese market While it’s certainly possible for a foreign company to thrive as a branch office, it can only be recommended based on the parent company’s current legal and tax structure, its financial capacity, and its business goals as it relates to the opportunities within the local business landscape. What are the advantages of setting up a KK subsidiary company in Japan? Unlike setting up a branch office, registering your company as a KK subsidiary is a comparably longer and slightly costlier process. However, despite the tougher requirements, many international companies find that it may be preferable to incorporate as a KK subsidiary because it reassures customers and business partners of your commitment to the Japanese market. Customers and vendors often prefer doing business with KKs, which is why registering as a KK is considered the practical choice for international companies looking to establish credibility and local presence. For a KK you can have the flexibility of raising additional capital in a variety of ways, such as selling shares in the public market and issuing stock options. As a separate legal entity, it is responsible for its own contracts and liabilities, protecting overseas corporate headquarters from being affected with any ongoing legal disputes incurred in Japan. *Although the minimum is 1 yen it is not recommended as capital is often associated with credibility as this available to the public in Japan. Income generated by a business in Japan may be subject to two national taxes (“corporate” and “local corporate”) and two local taxes (“corporate inhabitant” and “enterprise”). Corporate inhabitant taxes apply not only to income but also on a per capita basis, taking into account the company’s capital and number of employees. The rates for subsidiaries and branches are fundamentally the same in Japan. Taxable Income Income generated both within and outside Japan is taxable (a foreign tax credit may be applied to avoid double taxation). In general, only the per capita corporate inhabitant tax applies. 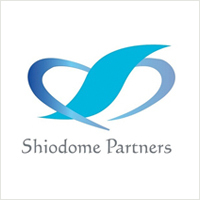 Enterprise tax applies if the subsidiary has capital of more than ¥100 million. Only income generated by business in Japan is taxed. In general, only the per capita corporate inhabitant tax applies. Enterprise tax applies if the head office has capital of more than ¥100 million. Lending & Borrowing The parent and subsidiary companies must enter into a formal loan agreement with interest payments. The tax on this interest, which is tax-deductible, must be withheld. Transactions between the head office and branch office are not considered loans. Any interest paid on said transactions is not tax-deductible. Transfer of Funds Surplus funds transferred from the subsidiary to the parent company are considered loans (with interest income). Other money transfers (such as royalties, etc.) must be properly invoiced and some may be subject to withholding tax. Any transfers of surplus funds, etc., are considered simple money transfers, not dividends. Head Office / Parent Company Expenses Since the subsidiary is a separate corporate entity from the parent company, no expense allocation is permitted. If the head office’s expenses are borne by the branch office, they may be allocated to the branch as long as the parent’s financial statements accompany the tax return. 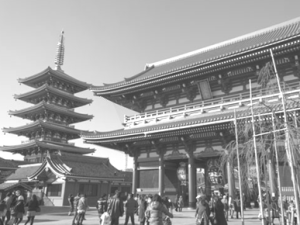 If you are planning to start a company in Japan and are considering your best options for incorporation, we can help. You can request a consultation today by contacting us at inquiry@shiodome.co.jp, submitting a Contact Request Form, or by calling our Tokyo office at 03-6228-5505 (+81). What are my options for launching a business in Japan as a foreign national?